This little puppy was barely clinging to life when rescuers found her. 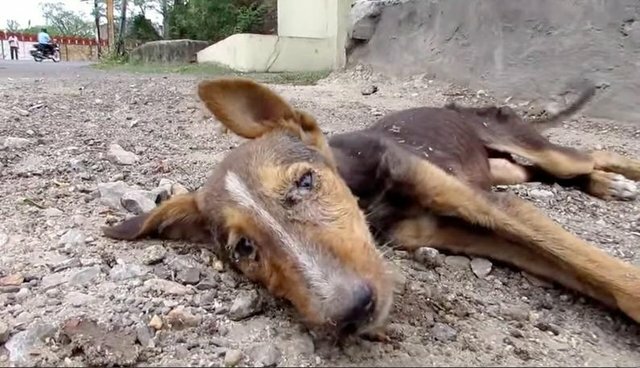 She was sick, starving and lying on the street, dying in plain sight as onlookers walked by without stopping to help -it seemed to take all the strength this little puppy had just to open her eyes. 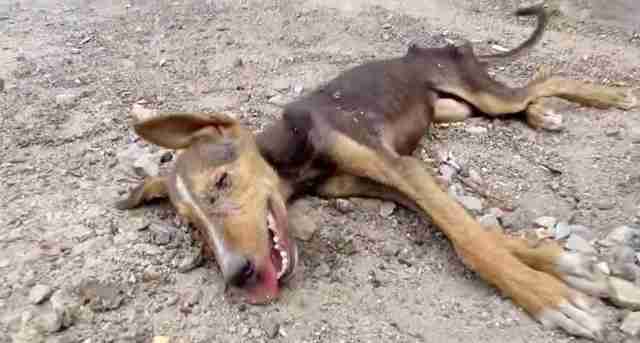 That's when rescuers with Animal Aid Unlimited stepped in to save her. 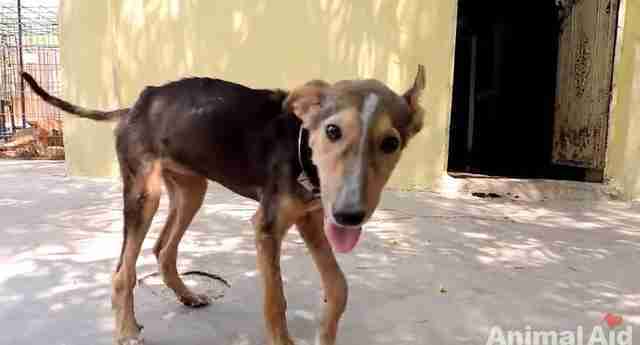 Animal Aid Unlimited is a sanctuary and rescue center in Udaipur, India, that works to save the lives of the area's many homeless street dogs. 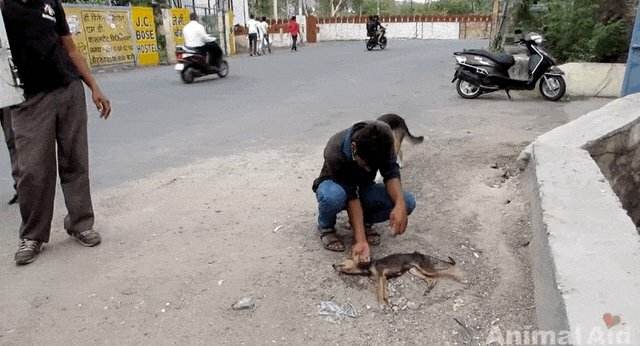 They deployed their emergency ambulance to pick up this suffering little puppy, and filmed as rescuers gently lifted her limp body from the street. When the pup arrived at Animal Aid, rescuers diagnosed her with distemper, a virus that is often fatal for puppies. As the organization posted on its blog, she wouldn't have survived much longer without help and "her condition was very critical. She was malnourished and there were wounds on her hips indicating that she had been unable to stand for several days." But this little puppy had a strong will to live - and after only a few days of antibiotics, IV fluids and lots of love, she was walking on her own again. Animal Aid posted that, 2 weeks after her rescue, the little puppy is fully recovered! It's almost unbelievable that the happy looking puppy now living at the sanctuary is the same weak dog who was near-death only days earlier. If it weren't for the devoted rescuers at Animal Aid, and the global community of animal lovers who support their work, she most likely would have died on the street. Now, this little puppy has a bright future, and she's not shy about saying "thank you" with cuddles. Click here to find out how to help Animal Aid Unlimited with their life-saving efforts.